Consuming a high-fat, high-sugar diet causes a harmful accumulation of fat in the liver that may not reverse even after switching to a healthier diet, according to a new study by scientists from Weill Cornell Medicine and Memorial Sloan Kettering Cancer Center. For the study, published Oct. 3 in Science Translational Medicine, the investigators developed a nanosensor that can detect and noninvasively track the accumulation of fat in the liver. They used the sensor to assess the effects of a high-fat, high-sugar diet on the livers of mice. They then evaluated the outcomes when the mice returned to a healthy diet. Unexpectedly, the researchers found that, while the fat accumulation decreases after returning to a healthy diet, some residual fat remains in certain liver cells long afterwards. "Going on a short-term unhealthy diet binge is a bad idea," said senior author Dr. Daniel Heller, an associate professor in the Pharmacology and Physiology, Biophysics and Systems Biology program at the Weill Cornell Graduate School of Medical Sciences and head of the Cancer Nanomedicine Laboratory at Memorial Sloan Kettering Cancer Center. "The liver remembers." Nonalcoholic fatty liver disease (NAFLD) affects up to 30 percent of people in the United States, where a high-fat, high-sugar diet is common. Patients with NAFLD develop an accumulation of excess fat in their livers. The condition can progress to a more serious disease involving inflammation, scarring and even liver cancer (called nonalcoholic steatohepatitis, or NASH). People who accumulate fat inside liver cells called Kupffer cells, specifically a part of these cells named lysosomes that act like cellular garbage collectors, appear more likely to progress to serious liver disease. "Fatty liver disease is a growing concern in the clinic and has rapidly become one of the top causes of liver disease in the United States and Europe," said co-author and hepatologist Dr. Robert Schwartz, an assistant professor of medicine at Weill Cornell Medicine and an assistant professor in the Physiology, Biophysics and Systems Biology program at the Weill Cornell Graduate School of Medical Sciences. "Currently, we have no medical therapies for fatty liver disease. We tell our patients to eat better and to exercise more, which, as you can imagine, is not very effective." Currently, some imaging tools like ultrasound or magnetic resonance imaging can help identify people with fatty livers, but these techniques often provide less detailed information. 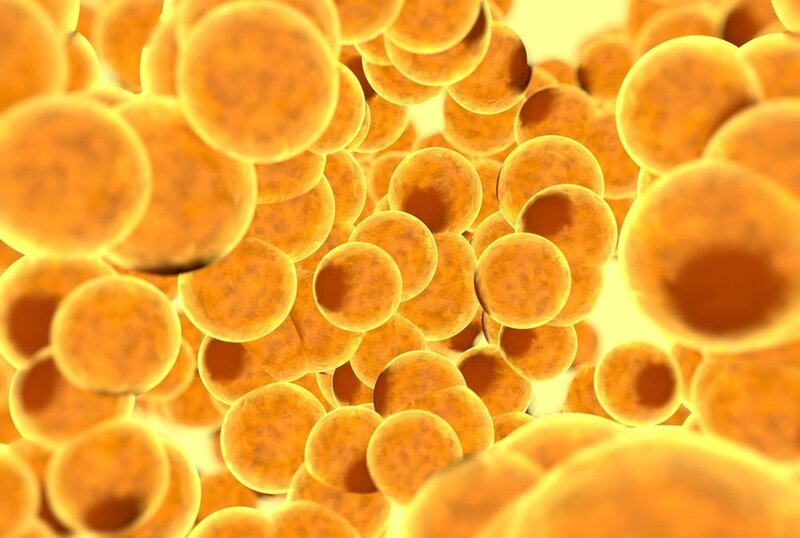 Dr. Heller's nanosensor is the first to noninvasively detect fat in the lysosomes of the Kupffer cells, potentially identifying those most at risk of progressing. The tiny sensor is about 1,000 times smaller than the width of a human hair and made of single-stranded DNA wrapped around a single-walled carbon nanotube. Fat accumulation in the lysosomes changes the color of light emitted by the nanosensor, and was first observed in live cells in Dr. Heller's lab by MSKCC research associate Prakrit Jena and Weill Cornell Graduate School of Medical Sciences student Thomas Galassi, the first author of the paper. When the nanosensors are injected into a mouse, the liver filters them out of the blood and then are consumed by the organ's lysosomes. Shining a near-infrared flashlight-like device on rodents injected with these nanosensors causes the sensors to glow. The color of the light corresponds to the fat content in the liver, allowing Dr. Heller and his colleagues to measure fat non-invasively using the device. In addition to measuring disease progression, these nanosensors may also help accelerate research on fatty liver disease and its treatment. 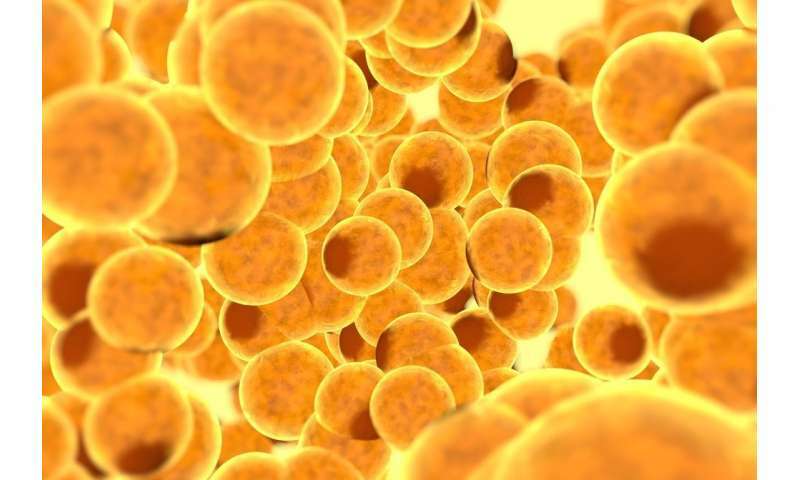 "A biosensor that could detect this type of fat accumulation could accelerate research towards treatments for fatty-liver disease and other lipid-linked conditions, and potentially lead to improved diagnostics as well," Dr. Heller said.